Barcelona, October 1, 2015. – Innoquant, a Big Data and Analytics software company founded in Barcelona in 2010, announces today the official launch of MOCA; the most advanced proximity marketing platform available. MOCA allows firms to reach their customers with personalized notifications at the right time and place. The platform gathers information from mobile devices through sensors and apps to develop effective proximity marketing campaigns and customer segmentation. Some of this information is interests, geo-fencing, behavior and data analysis. Organizations that manage mass audiences in diverse sectors such as retail, banking, infrastructure management and events management, among others, will benefit from a better understanding of their customers. In addition, Marketing Agencies and App Developers will be able to offer solutions which require Big Data analysis since MOCA turns any mobile app into a powerful real-time marketing tool. “Today, the possibilities of collecting data from mobile devices and processing it to improve customer knowledge are endless. Given the large amount of existing mobile users, the data analysis requires a Big Data solution. In this sense, MOCA offers a different solution placing Big Data technology at the service of proximity marketing. MOCA allows firms to know their customers in order to offer them valuable personalized information. There is no doubt that the merger of Big Data with proximity marketing is opening a new field of possibilities for the IoT and Smart Cities, which are the new future trends. " MOCA was in beta until last month, but during the beta it was used for the Mobile World Congress 2015 to provide Fira de Barcelona with proximity marketing services. The main goal was to improve the experience of the attendees and to gather information about their behavior to improve future events. MOCA is already being used in industries such as retail, banking and insurance. The solution was born when InnoQuant as a Big Data solutions company detected the need for corporations to bring to the real world the many developments that had been made in the digital world, the true spirit of the IoT. This innovation requires capturing big amounts data for an overall analysis and the best way to do it is through smartphones. This concept isn’t new, Google and Apple have been doing it for quite some time, though they don’t share this information nor the business insights with other brands. MOCA allows brands to use the full potential of Big Data analytics and provides a context based real-time marketing service. MOCA is a new technology in an emerging market so it’s a great business opportunity for the brands who use it. It puts Big Data at the service of companies interested in developing a more effective communication with their customers. Innoquant was founded in Barcelona in 2010 and is a company specialized in developing software solutions. Those solutions allows its clients to improve their proximity marketing strategies based on the analysis of large volumes of data (Big Data). Innoquant has developed a proximity marketing platform called MOCA, which processes a continuous stream of real-time data from mobile users and allows customer segmentation by defining its interests, geo-location and behavior. Innoquant has also opened its Partners Program so that Marketing Agencies and App developers will be able to use MOCA to build solutions to their end customers. It’s program is being well received, especially in Europe and LATAM where the company wants to expand internationally. The headquarters are in Sant Cugat del Vallés (Barcelona, Spain) and they’re also in Madrid and London. ©2010-2019 InnoQuant. All rights reserved. 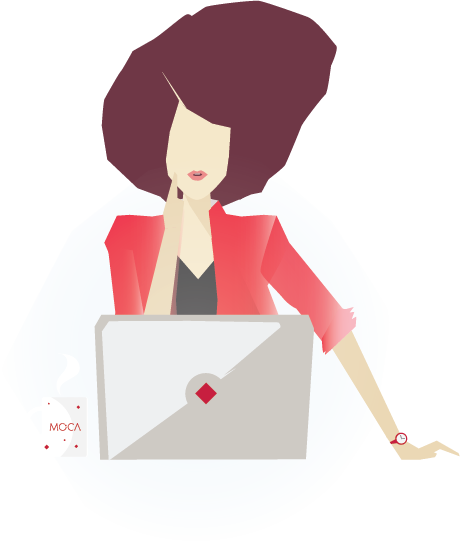 MOCA Platform™ is a trademark of InnoQuant in EU and other countries.